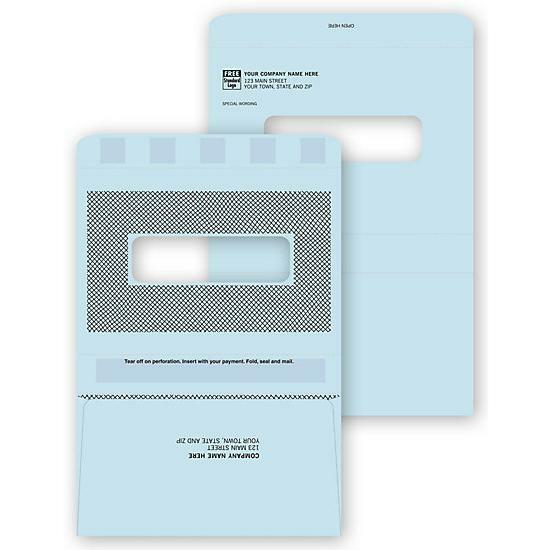 Size: 3 5/8" x 6 1/2"
Size: 3 7/8" x 8 /7/8"
Size: 6 3/8" x 4 1/2"
Provide customers with a convenient way to send payments. 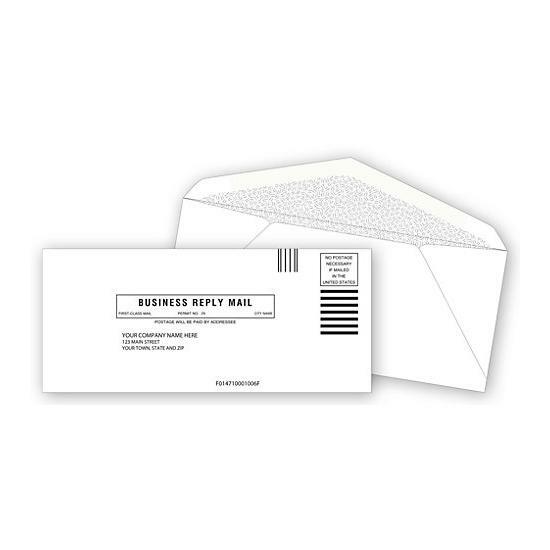 Enclose our reply envelopes with your invoice. 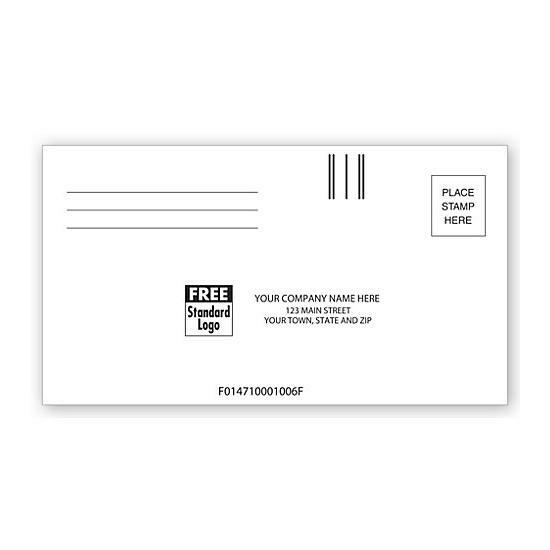 Two formats and 3 sizes that all fit inside a standard #10 envelope without folding. 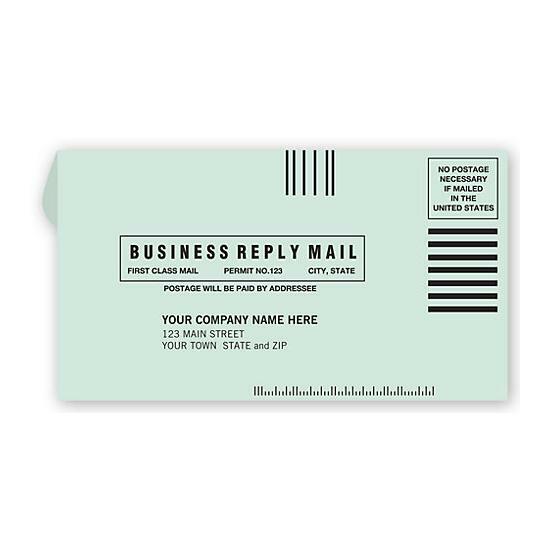 Intelligent Mail Bar Codes (IMBC), the latest technology from the Post Office, sorts and track a single piece and provides greater visibility in the mail stream. Just supply your Mailer ID. 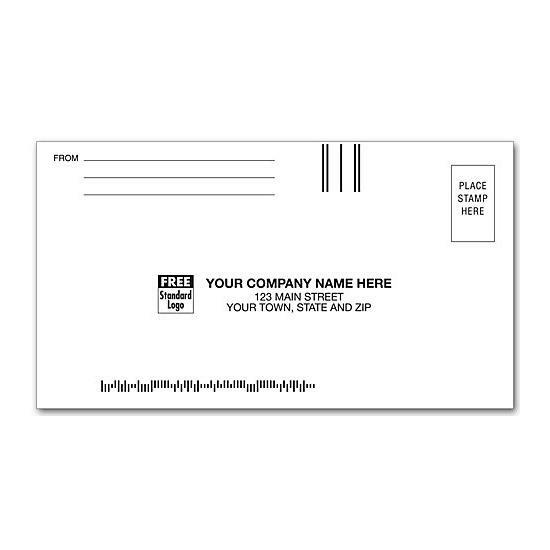 Insert your personalized letter to the recipient's address shows through the pre-cut window eliminating the need for mailing labels. 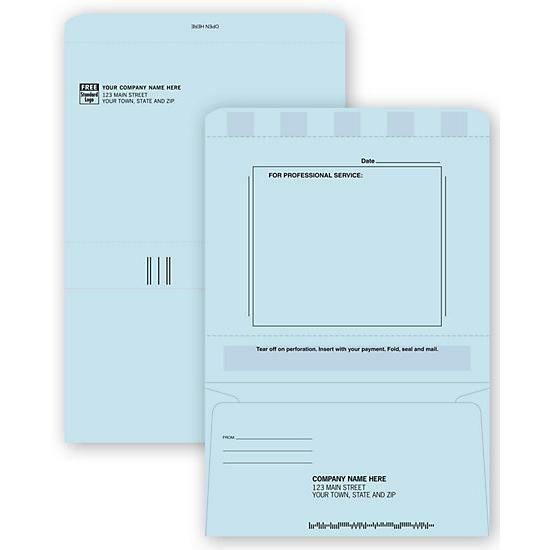 Business return envelopes work great with a wide variety of products like checks and invoices.They can work with products that feature a dual window or self-seal dual window as its companion envelope. 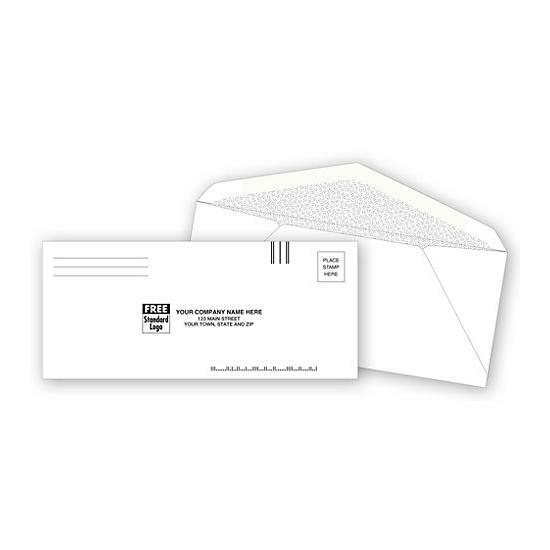 Customers simply detach the perforated return envelope from the mailing envelope and enclose their payment. 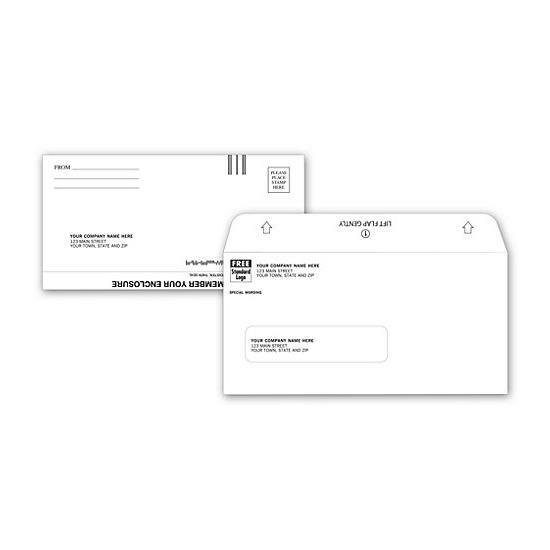 Both envelopes are imprinted with your name and address.